I’m going to teach you local SEO Basics for your business. So you can make more money! If you need a contractor, you would most likely want one who lives nearby,not across the country. Similarly, if you are the contractor, you would like work closer to home if possible. This also means that the SERPS (search engine results page) that are shown with a local search normally are much more relevant than the broader SERPS that cover the entire country. At the same time,it is also a battle with fewer competitors, you need to beat to get to be number one. It is somewhat easier to become the first ranked Realtor in Birmingham, as opposed to the first ranked Realtor nationwide. Moreover, the latter probably wouldn’t even get you more customers. Take a look at the search statistics for a moment, you will see some interesting results. 20% of all Google searchers are looking for local information. 30% of all searches show local restaurants as part of the search result. 75% click on a search result on page 1. 53% click on the top three results. 97% of all consumers who look for local information, do so online. 82% of local searches are followed up by a visit or phone call. Therefore, there’s a lot to gain by having a high rank in the local SERPS. Today, some studies show that one out of three searches are local, when using a cell phone, as opposed to one out of five on a computer. Also, this number will only continue to increase. Because you may be a minnow in the vast internet market ocean. But you can easily compete with all the big players in the market, as long as it’s on your home turf. Before we start the actual process of local search enegine optimizing, lets define what is local seo vs regular seo. Local SEO (sometimes referred to as LSEO) is about getting to the top of Google local search engine results page or (SERPS). Atlanta”,”hardware store Nashville” etc. Google recently cut the local results down from 7 to 3 results being showed for local searches. You will see a local result like this. 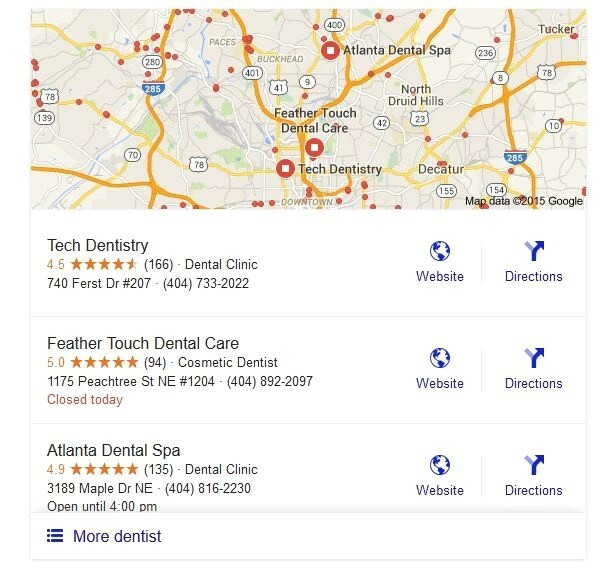 The image above is a example of what you will see if you search “Dentist’s in Atlanta”. 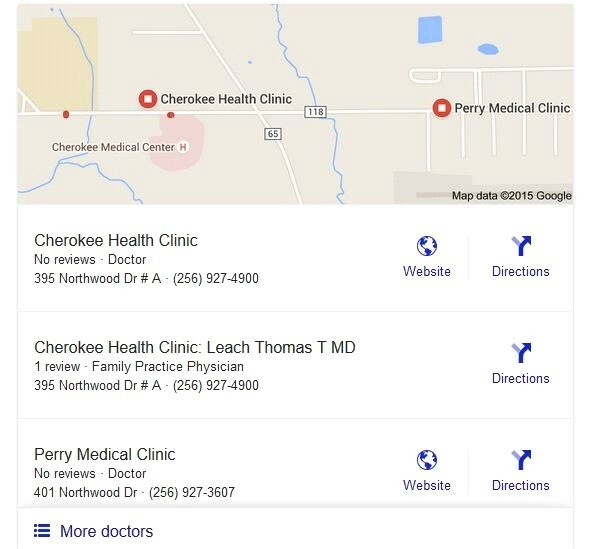 However if I just search “Doctor” with no location provided, you will get a result based off Google using your IP Address. Your result will look different of course, but this shows you a generic look. To sum up what Local SEO Basics are, it’s a search combination of an industry and a geographical location. The industry is defined by the search and the location can be added either by direct searching or indirectly. If you look at Ecommerce websites, there is no “where”, only a “what” to search. This is the difference between local search and a regular search. Useually a search result ,in connection with a local seach, will have a combination of general results and local results. It will look something like this. In this search, the general results are below the local search but that’s not always the case. 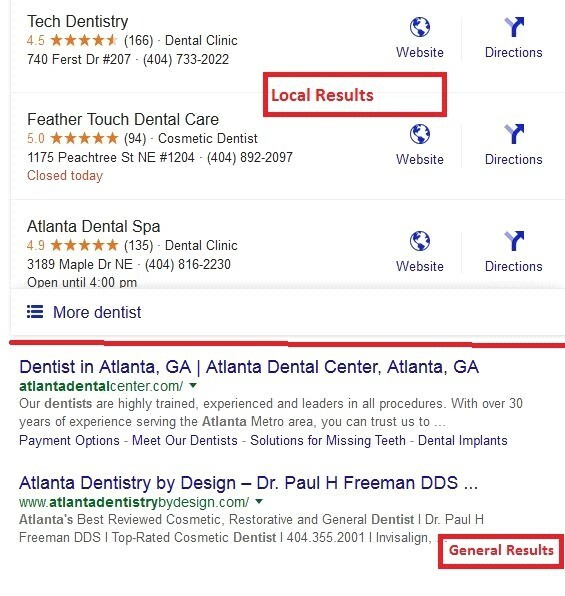 It really depends on how relevent Google finds the local results,compared to the general results and that’s where SEO comes in. If you want to make it to the top of the locals SERPS for your industry, it’s extremely important that you be consistent with your use of your business info,also called NAP. NAP is a abbreviation of Name,Address and Phone. Your business name,address and phone number you use, must be the same in all online places,where your information is listed. You need to decide, what your company is called,where it is located and which phone number will be your main line. Stick with this choice once you have made it. It may sound obvious but the fact is,your information can show up different in different places. those are about the same. Even as Google continues to get better, at this time Google sees this as two different businesses. Some of the places you should check your NAP are. This type of lLocal SEO Basics usually provides the fastest results is creating or verfying a existing Google Plus Local page. It’s possible to rank on page one in the serps with nothing more than a Google Plus page without having a website.To get the best SEO results a website and Google Plus page is recommended. Making a Google Plus page is not difficult task. However it is important to be very careful to input as accurate of information as possible. At the same time, put in as much information and content about your business as possible.